Only Sharlene Thier, a young stewardess serving on routine Flight 582, crossing the Pacific Ocean from Los Angeles to Sydney, understands the inexplicable and terrifying events that happen on board. Oceans Airways flight 582 takes off from LAX Airport in Los Angeles, headed toward Sydney. Passengers and crew prepare themselves for the fourteen-hour flight, among them assistant purser Sharlene Thier and purser Aaron Drake, who have recently started dating. But then, suddenly, communication and navigation systems in the cockpit start malfunctioning. And this is just the first of many inexplicable, frightening events awaiting the passengers and crew. The Boeing 747-400 has entered strange airways, inhabited by something malicious – a presence that holds sway over the aircraft. At the first indications of heavy turbulence Jim, in the cockpit, switched on the passenger seatbelt sign. He had returned to his seat ninety minutes earlier. After takeoff, Ben had taken over the controls from him for four hours. Now that the relief pilot was asleep on a makeshift bunk in the back of the cockpit, Jim had joined Greg for the last stretch of the flight. “Clear air turbulence?” his copilot suggested. “Look at the temperature outside!” Jim cried out. Greg followed his gaze and frowned. Heavy turbulence, he knew from long experience, could arise in a violent collision between warm and cold air. Apparently that was what had happened, because the outside air temperature gauge suddenly read minus ninety-four degrees; a sudden plunge of fifteen degrees. Such extreme cold normally was recorded only in the Polar Regions. He opened the flight schedule as Jim stared in disbelief at the oat. The 747 was shaking as if it were the plaything of a divine power. “No particulars reported from London,” Greg said. He was referring to the location of the World Area Forecast Center, which was responsible for the weather charts in their flight plan. “But those temperatures can’t be right,” Jim said. “I think a malfunctioning sensor is more likely,” Greg agreed. As he switched off the pa, he heard someone move behind him. Ben was out of his bunk, hanging on to his chair with both hands. “What the hell is going on?” he demanded to know. Ben whistled between his teeth, glancing at the oat while the Princess was pounded unmercifully. Greg pressed the transmit button on the high frequency radio that has worldwide reach and is the only way for the pilots to communicate with air traffic control. The pilot responsible for monitoring the plane’s progress was obligated to report their position once every hour to the closest of the three region points into which the Pacific had been divided: Tokyo in the west, Anchorage in the north, and Oakland in the east. When Greg tried to tune the high frequency radio and make contact, he received in response a burst of static that exploded through the flight deck. Greg tried using the squelch to get rid of the static. Unsuccessful in that attempt, he first tried searching for a higher frequency, then a lower one, to obtain a clear link. The bucking plane made his job difficult, but finally the static cleared and Greg hailed air traffic control. His request was met with silence. He tried several others but was unable to establish contact. It was something Jim had witnessed many times before, so he wasn’t overly concerned. The high frequency equipment was primitive, as Greg had pointed out, and as a copilot he had often become frustrated by its quirks. The turbulence had started without warning and it ended just as abruptly at 2:30 in the morning. One moment it felt as though they were aboard a ship in a hurricane-whipped sea. The next moment the storm had subsided and the Princess continued on her way, calm and steady. As she did so, the outside air temperature started rising. “Well, that’s that,” Ben sighed in relief. Greg once again hailed Tokyo. Apart from white noise, they heard nothing but silence. But the copilot had communicated with air traffic control just a half hour ago. “hf is still not working,” Greg reported. “Transmit our position and try the shortwave,” Jim said. Greg nodded in acknowledgement and placed the microphone close to his mouth. Zulu time is a term of endearment for Universal Time Code, corresponding with Greenwich Mean Time and used routinely by airline pilots. Greg tried the three vhf radios one by one—one used for communication with air traffic control, a second used for backup, and a third always tuned to an emergency frequency—but each attempt failed. He could not make contact with another plane or with a ground station on one the islands in the Pacific beneath them. Nor was there a response on the emergency frequency. “Without vhf, acars won’t work either,” Jim observed. Silence ensued, as each pilot weighed in his own mind the significance of what Jim had just said. To Jim, silence sometimes spoke louder than words. He and his wife Jody had become increasingly reticent in each other’s company, and that summed up their relationship these days. The only words they still openly expressed to each other involved recriminations. If their marriage was a candle, it had guttered and could not be re-ignited. That was the conclusion he had reached during the final hours before boarding the Princess. He wished that those hours had never happened. Suddenly Greg leaned forward, his eyes intent on something. 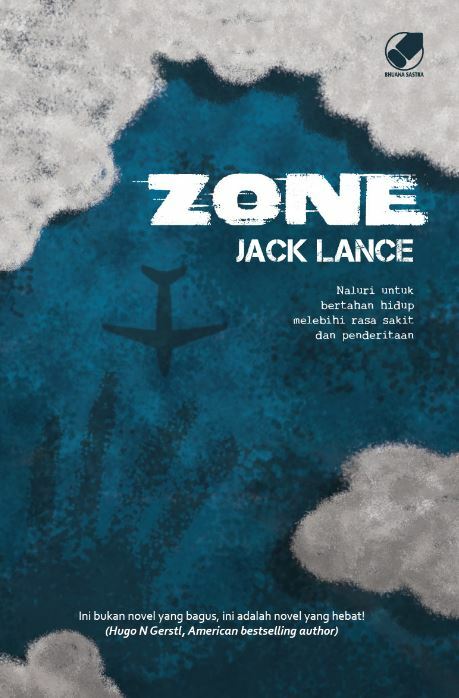 Jack Lance is a Dutch author known for his thrillers and suspense. Zone has a small decor, an airplane, and Jack gave the characters enough depth to play in this small space. I was comparing some of it with Stephen King’s IT: both stories have such an evil entity. Zone reads fast, and I can really recommend it. High up in the sky, nothing is what it looks like. It is a claustrophobic, occult thriller you absolutely must read. Lance really gave depth to the anxiety of the personages and manipulates the reader mixing reality with the occult. Very interesting and good written suspense. 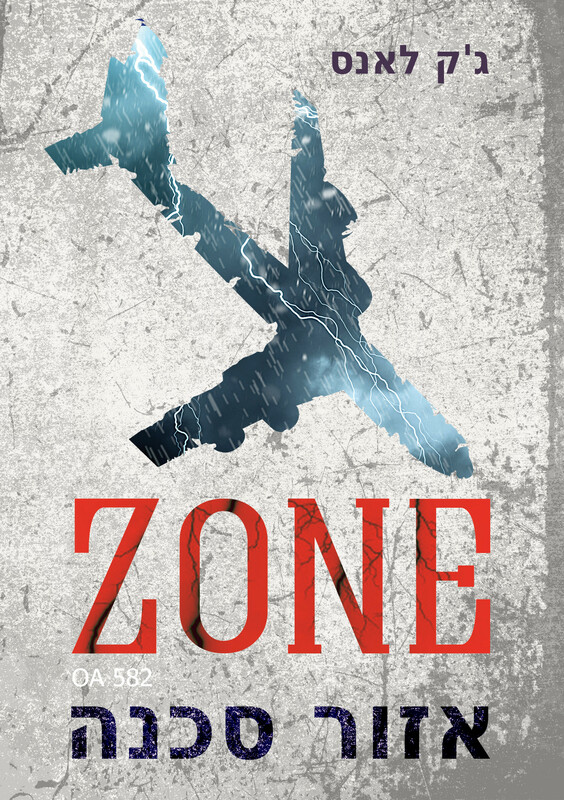 Zone is a supernatural thriller we can be proud of. Lance uses the mind of the reader, making use of the anxiety most people have: fear of heights, darkness or the unknown. By subtle hints the reader has to create his own image. The characters are normal people and that is what makes the story so great. Don’t read it before flying! 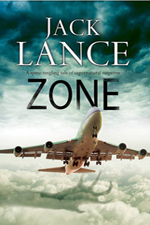 The tension in Zone is not only from ‘horror’ on its own, but from the airplane where things go wrong. The technical details made a positive note in the book. In this story, it is the calm of the darkness and the silence that is so frightening. A great story! I am glad I don’t have plans to fly anywhere soon. My nerves shrieked through my body reading this supernatural thriller. Reading the background stories of the passengers made me feel even more involved in the story. Please don’t read this book if you are scheduled to take a plane trip or if you are in any way susceptible to noticing strange, eerie things… the story simply would not let me stop reading once I had started. Read more This is spooky, scary fiction so if you like to feel the hair lift off the back of your neck when you are reading a novel, give this one a try. I, however, will NOT be taking any trips anytime soon where I have to fly. 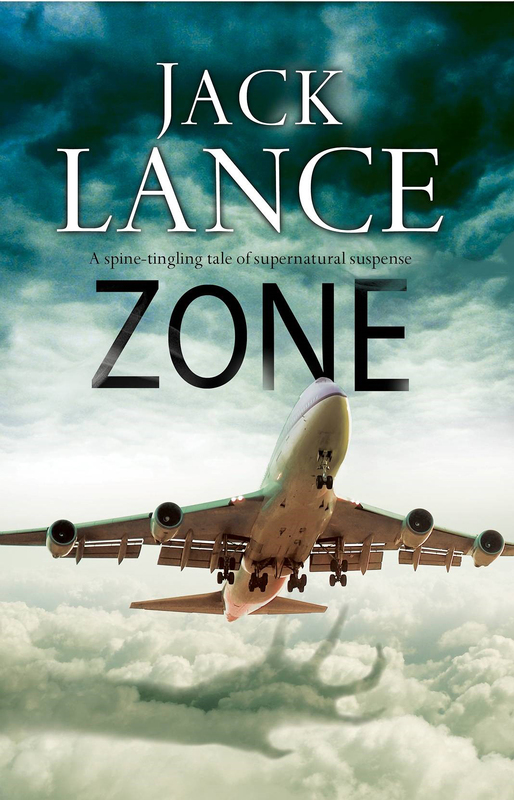 With a paranormal element that twists this suspense to something otherworldly, Zone is more than just a book about a plane full of passengers. Between the suspense and the likeable character of Sharlene, I would recommend this book to readers who enjoy paranormal suspense. Great build-up of suspense and characters that are developed to just the right degree make this a super fun story – especially to read with the lights turned down low. The book reminded me in many ways of the television series “Lost.” Is that a bad thing? Not necessarily because I loved that TV series. This is a quick, gripping read, which was easy to get into and fast-paced enough to finish in a day. 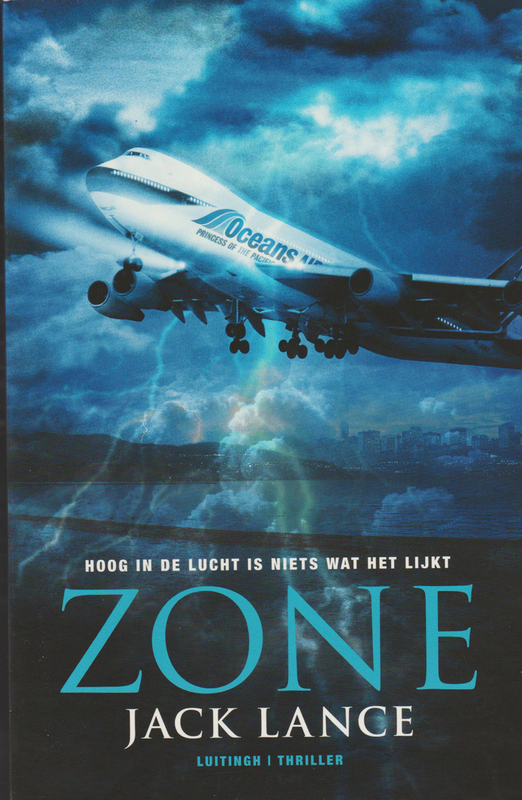 The subject matter, an ill-fated Boeing 747 which is doomed never to reach its intended destination, isn’t one I thought would appeal to me, but I was surprised by how much I enjoyed Zone. I’d recommend this book to anyone looking for a quick and entertaining short novel, but perhaps it’s not holiday reading if you’re planning on travelling by plane! A picture is worth a thousand words. The book cover says it all. I’m never flying again. (Well, maybe short flights only…) This is a spooky, creepy, downright chilling, horror story. If you fly long distance don’t choose this book for reading in transit. Better to read it during a thunderstorm, at home, with a guard dog beside you. The main characters are well done with enough background for the reader to understand their fears. There are several passengers who add to the mix. Some are rather strange and others are downright nasty. The reader can almost feel the tension building with the physical and emotional distress of the passengers. I really liked the way the whole story unfolded. It seemed so realistic and built up to a deadly ending. A very good scare.